“I’ve been on some teams that have been close to winning the championship, so I’ve learned over time that you always have to have a sense of urgency,” Alexander said during a conference call. And yes, the 35-year-old Alexander said in reiterating comments he made in December, he doesn’t foresee playing beyond this year. 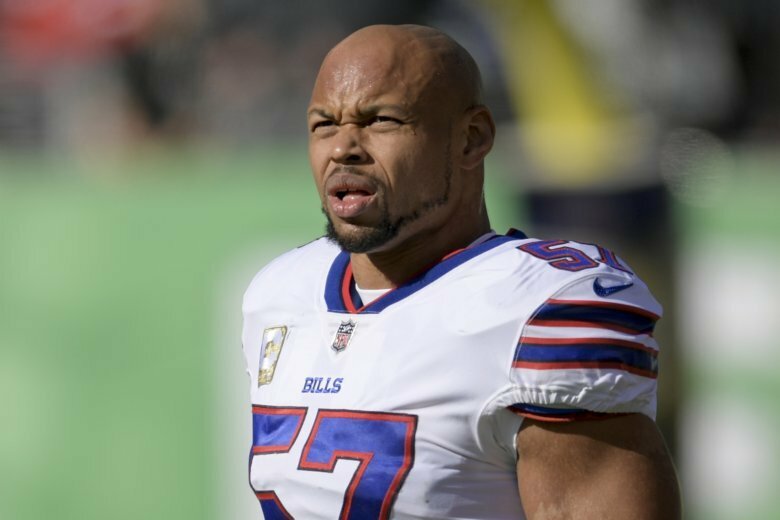 Re-signing with Bills was essentially a formality after both Alexander and the Bills openly discussed the likelihood of him returning for a fourth season in Buffalo and 13th in the NFL. For the Bills, they retain a versatile, experienced player, who also helps patch over a leadership void after defensive tackle Kyle Williams’ decision to retire. For Alexander, he gets to continue building on the valuable role he carved out for himself both on and off the field on a team that helped revive his career. Alexander was an undrafted free agent out of California and split 2005 and ’06 with Carolina and Baltimore before finally landing a roster spot with Washington in 2007, where he played through 2012. He split the next three years with Arizona, where he was sidelined by a season-ending foot injury, and Oakland, before signing with Buffalo in 2016. Initially brought in to fill a special teams role in Buffalo, Alexander was so productive during the offseason he earned a starting job and finished with a career-best 12½ sacks in Rex Ryan’s final year as coach. Alexander has remained a regular since Sean McDermott took over, and is coming off a season in which he had 6½ sacks and a career-best two interceptions in starting eight of 16 games. Just as important, he’s played a role in grooming Buffalo’s up-and-coming youngsters, including middle linebacker Tremaine Edmunds. Alexander sees the Bills moving in the right direction despite a 6-10 finish, following an offseason in which Buffalo continued restocking its roster with youth. The offense showed signs of progress under rookie quarterback Josh Allen, and the defense finished second in the NFL in yards allowed. “I don’t think we’re that far off,” Alexander said. The Bills also re-signed offensive lineman Jeremiah Sirles to a one-year contract. The fourth-year player signed with Buffalo in late September, and had five starts in 12 games.